Do you only have little time for preserving your dear harvest? Is your pantry not big enough to store all the goodies from the land? This blogpost contains affiliate links. By using this link to buy a product we will earn a small commission. 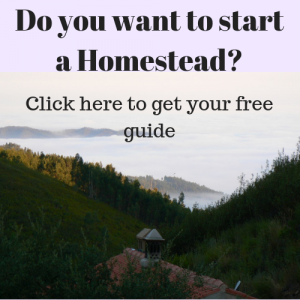 This way we will be able to continue providing you with the best information we have about Homesteading. Here is what you can do: dehydrate your fruit and vegetables. Check this short video to see what a dehydrator is and how it works. An overload of fruit and vegetables in summer and fall. By dehydrating you will preserve vitamins. Saving space by dehydrating vegetables. 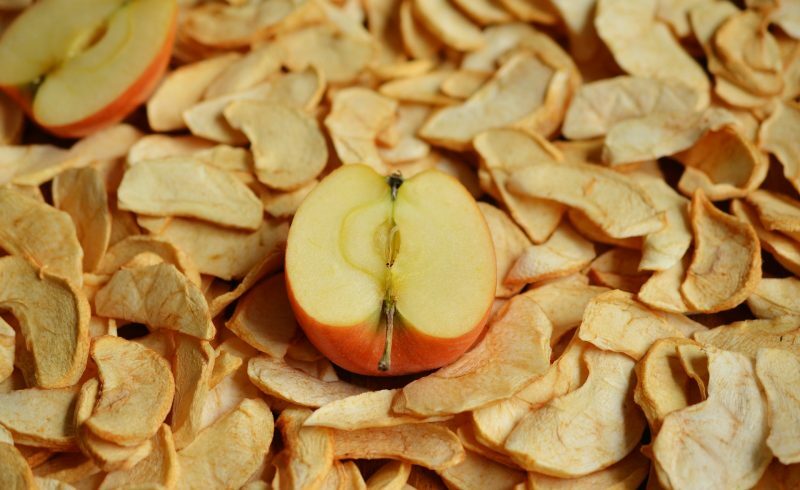 Dehydrated fruit can be a healthy, heavenly candy. So that’s it about dehydrating fruit and vegetables. Every year our trees carry fruit. It starts in early summer with apricots followed by plums then apples and pears a bit later in the summer. In fall we have our lemons, oranges and persimmons ripening. Some trees carry a lot of fruit, like our plum and persimmon trees. The persimmon trees can carry up to 100 kg. The plum trees something like 80 kg. Far too much to make jam from or to can. We would never eat all that jam or canned fruit in a years time. So I find the dehydrator a good solution to deal with these big amounts of fruit. Combined with the use of a steam juicer and with canning I manage to process a lot of it. Another thing that I love to dehydrate is tomatoes. Every year we have an overload of tomatoes in fall. Dehydrated tomatoes are very tasty and can be used the rest of the year when there are no fresh ones. They are lovely in pasta dishes . Our apple and pear trees carry less, but I still like to use the dehydrator to preserve these fruits since dehydrating means keeping the vitamins preserved as well. Apple and pear sauce tastes very good and I do make it, but by heating the fruit vitamins get lost. This is not so much the case when you dehydrate your fruit. 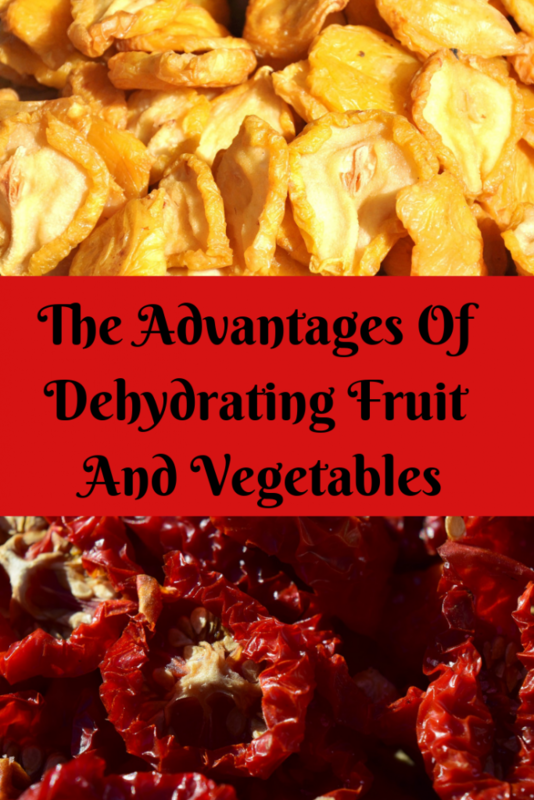 So dehydrating is also a healthy way to preserve fruit and vegetables. For canning or jam making a lot of steps are required. Not so much with dehydrating. I think it is a lot quicker and easier. That is why I like it. You do need to clean the fruit or vegetable so there is no dirt on it before it goes into the dehydrator. After that you just dry the fruit and put it in the dehydrator. When you dehydrate apples or pears it takes a bit more work. You need to take the center with the seeds out. If you want it more fancy you can peel the, something I do not do. It is a matter of taste. When you have a lot of apples or pears you can use a special knife to cut the center out. The are also practical peeling devices to make the peeling quicker. Except for the tomatoes we did not dehydrate a lot of vegetables yet, but our neighbouring friends do. They dehydrate practically all their surplus vegetables. The reason is that it saves a lot of space to store dehydrated vegetables instead of canned vegetables. One of the best things of dehydrated fruit is, I think, that you can produce super nice healthy candies. We always like to have some snacks in between. And sure you can make a cake or some muesli bars for that purpose. But the thing is: they contain added sugar… The dried fruit or fruit leather does not. For me (being over 50…) this makes dehydrated fruit the perfect snack for in between. As already mentioned dehydrating fruit also keeps most of the vitamins in the fruit. Yes, you do need to buy a dehydrator. When you buy the one we have it will cost you a bit over 100€. There are also some smaller dehydrators for a bit less as well. Other then buying the dehydrator the costs are very low. Most dehydrators are pretty efficient in electricity use. There is no significant difference in our electric bill when I have been dehydrating fruit even though the dehydrator runs a long time. I try to use the dehydrator overnight even saving more since the night price of the electricity we buy is lower than the day price. Once done and packed away, there are no extra costs involved. Click here to check out what a Dehydrator costs. You can basically dehydrate all fruit and vegetables but some things are nicer to dehydrate then others. On our farm we use different techniques for preserving: canning, steam juicing and dehydrating. Simply because some techniques work better for some things then other things. And sometimes we use different techniques for one thing to get a bigger variety. Hard fruit like apples and pears do not steam juice very well when they are not 100% ripe. Sometimes we harvest the fruit earlier because if we leave them hanging birds and fruit flies will consume them. Making the fruit to hart to steam juice. In that case we use dehydration to preserve the fruit. Softer fruit like plums, figgs and apricots as well as berries do very well in the steam juicer, but can also be dried in the dehydrator. We do both. The juice can be used for making syrup or jelly. The dehydrates fruit can be eaten as candies. The juice and the dried fruit can even be used in fruit sauces. Soft fruits can also be canned or made into jam. Something we also do. Preserving persimmons is a story on it’s own. You can make jam and wine, but none of the two have proved very satisfying for us. We have about 100 kg of persimmons every year from just three trees, which is a lot to process. I can sell some of the fruit on the market to people who do not have persimmon trees. But because almost everybody has them I never sell a lot. So I get stuck with the fruit. Steam juicing persimmons is impossible. Making jam from persimmons gives us an excellent jam. The only problem is that you need to make small quantities at a time. Somehow the jam does not set well when you have a big pot full of fruit pulp to process into jam. So we do make some Persimmon jam but not a lot. The jam is not suitable for selling since it oxidizes, showing a brown coloring in the jar. The best solution for processing persimmons we found is dehydrating the pulp into fruit leather. It makes a wonderful candy without any additives and without sugar. The good thing is that I can process all the fruit we have. It will also sell very well because it is absolutely delicious. It can be packaged in paper wraps or jars easily. Check our short slideshow on making persimmon fruit leather. I think dehydrating fruit and vegetables is very easy. It saves space, costs and time. For me it is a great way to make nice healthy snacks. And the fruit leather…. , is sooooo good.